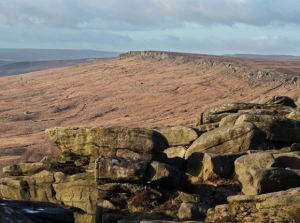 Culture The scenery isn’t the only thing that makes the Peak District such an attractive destination for travelling. There are castles, stately homes and historic houses scattered throughout the countryside, from Tudor manor houses to classical mansions, medieval ruins to Elizabethan halls. 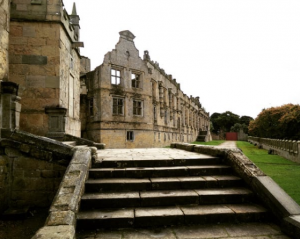 Stroll in the footsteps of people of the past, as well as many film and television stars who have been on location here: Chatsworth House Haddon Hall Bolsover Castle Hardwick Hall Bolsover Castle - freeze__and__cheese (Instagram) Fine Dining If good food is a must in your travel itinerary, you won’t be disappointed by the fine local produce that goes into creating amazing food experiences in the Peak District. All kinds of delicious food and drink are grown, made and sold in the local towns and villages, including cheese, beer, fish, meat and much more. In fact, the Original Bakewell Pudding Shop is less than a 10 minute drive from The Peacock, and our own menus include fresh, organic ingredients grown right here in Derbyshire. Fishing Relaxing, rewarding, refreshing - fishing could be the ideal hobby for you in 2018. The Peak District has many rivers and lakes which are perfect for fishing, with four flowing straight through the Haddon Estate, where The Peacock is located. Find your own spot to give it a try (don’t forget to check fishing regulations for the area!) or master your technique with a guide or tutor. Explore what fishing experiences we have available at The Peacock. Photography You can’t go far in the Peak District without coming across a multitude of amazing photo opportunities. 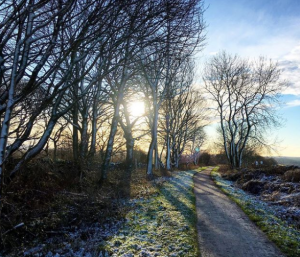 Photographers, both amateur and professional, flock to the National Park to capture trickling streams, mountain views and quaint country villages. 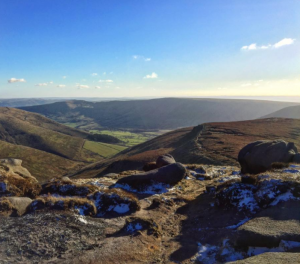 Search Instagram for #peakdistrict, or go to the Visit Peak District Instagram page, to explore a few, or check out our recent ‘Capturing the Peak District’ blog to see our favourites from the Autumn. Gardening Want to get out in the garden more this year and need some inspiration? Many of the aforementioned historic houses and stately homes have beautifully designed gardens which you can wander around to your heart’s extent. Some of the most impressive are Haddon Hall, the Pavilion Gardens in Buxton and Chatsworth House, which hosts the RHS Chatsworth Flower Show annually. 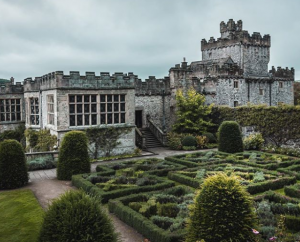 Haddon Hall -g_cooper (Instagram) We hope we’ve helped you to find some inspiration for your New Year’s resolutions and wish you a very Happy New Year, whatever you hope to accomplish.